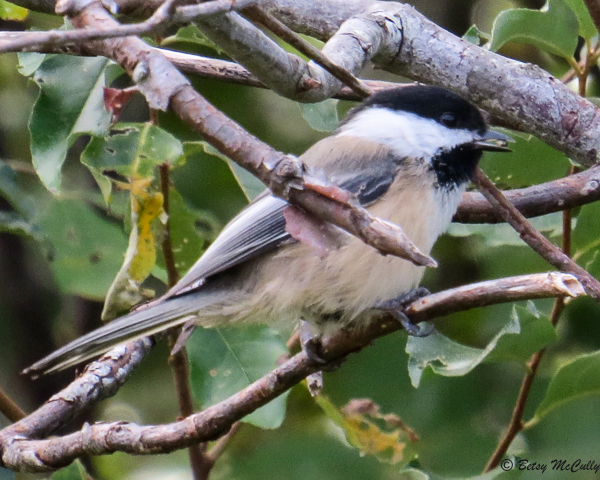 Black-capped Chickadee (Poecile atricapillus). Open woodlands, backyards. Year-round, breeder.